The Milan Village Arts School is located in Milan, Minnesota, a small community which boasts a rich Norwegian heritage. With its remarkable population of ethnic craftspeople and small town charm, Milan offers a perfect setting to study the arts. CLICK HERE for Milan Town Map (PDF). Milan is located in Chippewa County in Western Minnesota at the junction of MN Highway 7/59 and MN Highway 40. 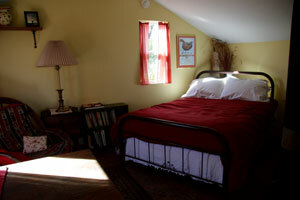 This farmstead bed and bagel is approximately 11 miles south of Milan. The Broodio is a one-room cottage that is part of this Minnesota River Valley century farmstead. The former “brooder” house and studio features original art work, solar technology and tradtional and handmade furniture. Bathing facilities are nearby in the main farmhouse. For more information, contact Audrey Arner or Richard Handeen at 320-269-8971 or email audrey@moonstonefarm.net. You may also learn more about the Broodio at www.moonstonefarm.net. 5 miles from Milan, the Lac Qui Parle State Park Campground offers tent and RV camping, as well as small cabins. Along with the stunning views and sunsets, the campground offers full amenities at a budget price. 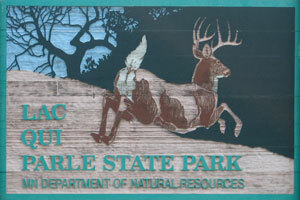 Contact the state park office at 320-734-4450. 4 miles from Milan, Randall’s offers Lac Qui Parle waterside tent, RV Camping, and cafe. Call 320-734-4400 or 320-734-4604. Trish & Tim would like to welcome you to Milan’s newest accommodation. 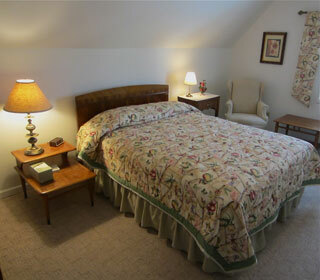 Conveniently located on 1st St. in Milan and a short walk from the Milan Village Arts School and downtown, T & T Lodging provides 2 large, comfortable bedrooms with a shared bathroom. Overnight rates are very competitive with accommodation in neighboring towns and guests are spared the inconvenience of traveling at night or in inclement weather. While T & T Lodging is not a Bed & Breakfast, the Milanesian Cafe and Milan Beach Resort Cafe are close by and open for breakfast. For more information contact Trish Johanson at (H) 320-734-4422 or (C) 320-314-2965. The Watson Hunting Camp is located 6 miles from Milan near the Lac qui Parle State Park. 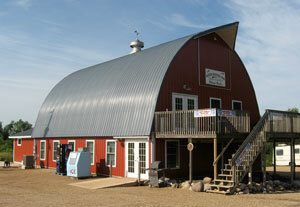 Several choices of accommodation are available in the remodeled barn, as well as tent and RV camping. At the end of the day enjoy a drink at the locally famous bar on the second floor. Call Chuck at 320-269-9136. For a small town, Milan offers a surprising number of amenities. The Milanesian Cafe is open Monday to Saturday for breakfast and lunch. The Milan Beach Resort Cafe is open 7 days a week for breakfast, lunch, and dinner. Bergen’s Prairie Market has a wide selection of groceries and specializes in items from the Scandinavian countries including, coffees, chocolates, cheeses, and other specialty items. Open 7 days a week. billy maple tree’s gift store has a large selection of local arts, crafts, antiques, and fair trade goods. Many of the students and artists of MVAS sell their art in the store. The Arv Hus Museum is located next to billy maple tree’s and is an enjoyable diversion if you are interested in the local history of the area. The Prairie Sun Bank is open Monday to Friday with a 24/7 ATM on site. The Milan American Legion welcomes all visitors and is open Monday – Saturday from 4 until closing. The Full Circle Thrift Store is located in the Milan Community Center on 4th St. and is open on Fridays and Saturdays. A card only gas station is located on the intersection of Highways 40 and 7/59. Milan offers so much that we can’t possibly list it all, so please visit the Milan website, www.milanmn.com, where you will find all you need for a trip to western Minnesota! Tourist information available at www.prairiewaters.com or 1-866-866-5432, or at www.milanmn.com. There is also an abundance of attractions and activities in the Upper Minnesota River Valley from hiking, fishing and bird watching to visiting historical sites and places of interest. For more information, please go to www.mnrivervalley.com.